Prime Minister Narendra Modi on Tuesday ruled out bringing an ordinance on the construction of Ram temple in Ayodhya before the judicial process is over. In an interview to a news agency, Mr Modi also suggested that the judicial process was being slowed down because of obstacles being created by the Con gress in the Supreme Court. 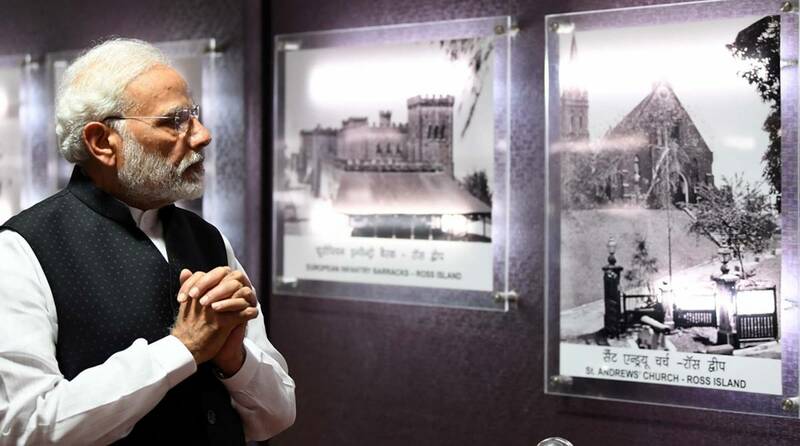 “We have said in our party manifesto that a solution would be found to this issue under the ambit of the Constitution,” the Prime Minister said about the Ram temple issue in his interview to ANI. Talking on the Rafale deal, Mr Modi said those levelling allegations against him were actually weakening the country’s security forces and asserted he would continue to expedite the procurement process in defence so that the country’s security wasn’t compromised. “Those people who want to weaken the Army are levelling allegations. Should I worry that they are making personal attacks on me, or whether my country’s needs should be met? I decided that whatever abuses are hurled at me, whatever allegations are levelled against me, I will continue on the path of honesty and give primacy to the country’s security,” Mr Modi said. der equality, while the issue entry of women in Sabarimala was related to tradition. The Prime Minister revealed the date of the surgical strike had been changed twice, keeping in mind the safety and security of the troops. The strikes were carried out days after terrorists attacked an Army camp in Uri in Kashmir, killing 20 soldiers. The Prime Minister said the surgical strikes were planned as there was a “rage” building up within him as well as the Army after soldiers were burnt alive in the terror attack in Uri. Dubbing the loan waivers announced by the Congress governments as “political stunts,” Mr Modi said a majority of farmers do not benefit from these “misleading” announcements as only a few of them take loans from banks. The Prime Minister said the coming Lok Sabha elections would be a contest between “public and coalition”. Asked whether the LS polls would be an “anybody but Modi” contest as projected by the Opposition, he said, “It is going to be janta (public) versus gathbandhan (coalition). Modi is just a manifestation of public love and blessings,” he added. Mr Modi didn’t attack any importance to the reverses the BJP had suffered in the recent Assembly polls in Rajasthan, MP and Chhattisgarh. The results in the three states, he said, won’t have any impact on the electoral fortunes of the BJP in the LS elections. The PM took a dig at the Trinamul Congress-government in West Bengal and Marxist-government in Kerala, alleging the democratic process had been subverted by the Mamata Banerjee government, while his party’s activists were getting killed in Kerala. Mr Modi also defended demonetisation and GST implemented by his government and said they were steps in the right direction.